Emily Snyder and Taylor McNeel have been named as the Southern Arkansas University 2013 Hallman Scholars. The Hallman Scholarship provides $10,000 annually for a woman student in the College of Science and Technology. 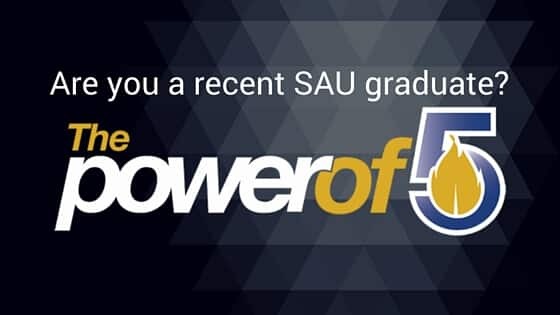 With the addition of the Arkansas Challenge Scholarship, recipients will receive $12,000, $13,000, $14,000 and $15,000 respectively for their four years of college at SAU. Snyder, a chemistry major, is coming to SAU from Cabot, Ark., to follow in her grandfather’s footsteps by becoming a pharmacist. Her Spanish minor will add a bilingual component to her resume, which she hopes will enhance her career options in the medical field. Snyder is the daughter of Jayne Snyder and the late George Snyder, and has one sister Anna. McNeel grew up on a farm in Vilonia, Ark., and she hopes to become an advocate for agriculture. As such, she is going to double major in Agriculture Science and Agriculture Business at SAU with a Spanish minor. She has also been accepted in the SAU Honors College. Her goal is to be in the forefront of where agriculture meets mainstream society and to take an active role in agriculture policy and legislation. McNeel is the daughter of John and Laura McNeel of Vilonia and has one brother, Mathew. 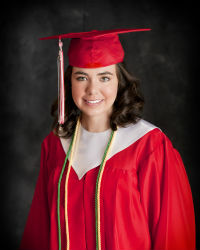 Snyder was in the top two percent of her class of 675 students at Cabot High School. 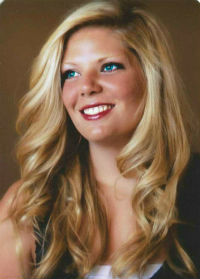 She was the Vice President of Mu Alpha Theta and the National Technical Honor Society. She also enjoys volunteering with the disabled children at Camp Aldersgate in Little Rock. McNeel was a 4-H member for eight years and an FFA member for four years in high school. She was also a State 4-H Ambassador, Arkansas State Fair Ambassador, FFA Chapter Officer, State 4-H Camp Counselor, and Faulkner County 4-H Team Leader. She is the 2013-2014 Arkansas State FFA President. Snyder and McNeel join current Hallman Scholar Emily Bowling, a senior pre-dentistry major. Cinda Hallman, 1966 graduate of SAU, was one of four women heading Fortune 500 companies at the time of her appointment as CEO of Spherion Corporation. Before joining Spherion, Hallman had a distinguished 20-year career with DuPont. As senior vice president of DuPont global systems and processes, she had full responsibility for global information technology, processes and strategy, and corporate core managing processes. 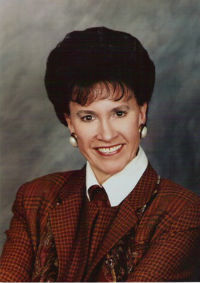 She was named Chief Information Officer of the Year by Information Week Magazine for “reshaping DuPont’s information systems organization to meet the changing competitive needs of its business units.” Dedicated to providing opportunities for women, Ms. Hallman provided funds for the scholarship through her estate.